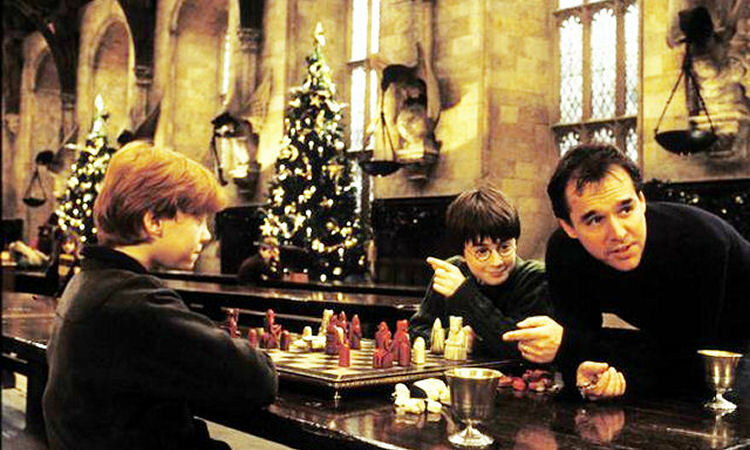 At the top of his game with movies like Home Alone and Mrs. Doubtfire, director Chris Columbus was introduced to the Harry Potter books by his daughter. He became passionately dedicated to adapating the novels into movies. At the time he was originally set to direct the first four movies, but realized after the first two it was like "running 60 marathons" and eventually bowed out. As different directors took control, each had their own individual style and transformation from page to screen. 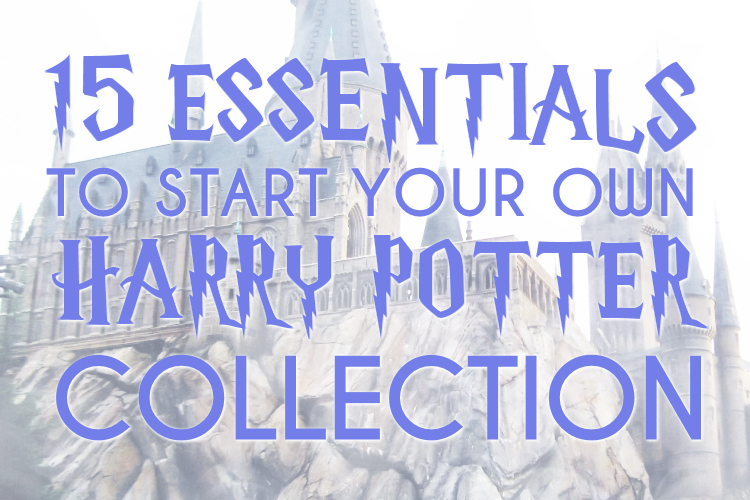 But what came from the first film Harry Potter and Sorcerer's Stone has spawned an eight film series, three theme parks, and billions of dollars in merchandise. Here are five reasons we can thank Columbus and his hard work for kicking off the beloved phenomenon. For a long time director Steven Spielberg was the top contender to direct Harry Potter but eventually passed due to creative differences. Mainly, he wanted a young Haley Joel Osment to voice The Boy Who Lived in an animated film series. Warner Bros Studios narrowed its search down to four final directors: Brad Silberling (City of Angels), Alan Parker (Evita), Terry Gilliam (12 Monkeys), and Chris Columbus (Mrs. Doubtfire). The latter, who had been pursuing the project for nearly two years, eventually got the job of a lifetime. Because the books' terminology was changed from British to American when published in the U.S., Columbus had to really dig around for the British versions in order to truly understand Rowling's native European world. Columbus promised author J.K. Rowling and insisted the films remain British - especially the cast. He even uprooted his family to London to direct the movies at Leavesden Studios - where the rest of the series would make its famous home. 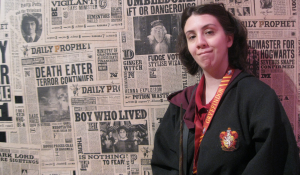 Even Fantastic Beasts and Where to Find Them, the Harry Potter spin-off trilogy for release in 2016, will be produced there. 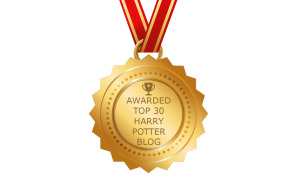 Harry's journey begins as the standard golden storybook tale, and the first film depicts his rosy colored transition from the muggle to wizarding world. Then, as his quest progressively grows darker so does the films' aesthetic. As Columbus was directing the first two films Sorcerer's Stone and Chamber of Secrets, and had at the time been connected to direct the next two (Prisoner of Azkaban and Goblet of Fire), Columbus was aware of how grim the series would become. The films' coloring, which are known for being stripped of its bold colors from Sorcerer's Stone, actually begins with its sequel Chamber of Secrets. The director instructed his cinematographer Roger Pratt to subdue the lighting as well desaturate the color palette. This style not only endures throughout the rest of the series but grows stronger, more obvious, and creates that memorably gritty ambiance until Deathly Hallows Part 2. We kind of all know the legend of producer David Heyman with screenwriter Steven Kloves seeing young Daniel Radcliffe at the theatre with his father and knowing he was the boy to play Harry Potter. However, before that serendipitous encounter, Columbus had seen young Radcliffe originally in David Copperfield television special, and insisted his casting director track Radcliffe down. Said casting director repeatedly insisted his parents wouldn't want Radcliffe in such a big motion picture and Columbus could never get him to play Harry. Weeks continued on with hundreds of auditions, and even an internet casting call, but Columbus still determined to screen-test Radcliffe. Finally that lucky night occurred when Heyman spotted Radcliffe at the theater and chatted up his father about an audition. It was Columbus though who had been searching for Radcliffe all along. When originally previewing Sorcerers Stone in Chicago, kids as well as the director wanted the movie to be longer. Parents on the other hand didn't agree and asked for the film to be trimmed for its long length -at the time, two hours and forty minutes. Columbus swore that if kids could read a 734 page book (the total amount for Harry Potter and the Goblet of Fire), they would want to sit through a three hour plus movie. Editing the movies down, excluding some of his personal favorite scenes and much-missed characters like Peeves the Poltergeist, was extremely difficult for Columbus - but it had to be done to satisfy adult audiences. The series' individual running time continued to remain respectfully long - though not as inclusive of the books' immense details as many critics and fans may have liked. When J.K. Rowling's books were adapted to film, the sights and sounds we had pictured in our minds finally came to life on the big screen. Taking on her world, whose fantasy success has grown into three theme parks around the world and a spin-off series on the way, the right people had to come together at the right time for the first film in order for the rest to follow. Columbus was step one. The principal cast remained the same for nearly ten-plus years of filming (with the exception of Richard Harris). For nearly all eight films, the same crew brought their magical touch to the series; including but not limited to: screenwriter Steve Kloves, production designer Stuart Craig, property manager Barry Wilkinson, special effects supervisors John Richardson, art director Andrew Ackland-Snow, special makeup designer Nick Dudman, set director Stephenie McMillan. The way we experience the wizarding world now, in large part, is due to the team of collaborators who came together during Columbus's brief reign as director. With the inception by Columbus, and subsequently the talented directors who put their own stamp on the series, these cinematic creators all left an unforgettable mark in film and our imaginations.